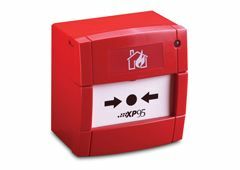 The Apollo 54000-901 was an addressable call point from the series 90 range of analogue addressable fire alarm system equipment. This call point is now not available as the Series 90 range of equipment has now been made obsolete by Apollo. We can supply Apollo’s recommended replacement devices for use in place of the Apollo 54000-901 unit. Apollo recommend that the 55100-905 should be used as a replacement device for the 54000-901 Series 90 call point. This device comes supplied complete with a surface mounted backbox, glass element and test / reset key. If you’re interested in this product you may also be interested in our Apollo XP95 Detectors and Apollo XP95 Sounders ranges.